I admit it. I’m a fashion stalker. I like to keep my eye out for ideas to inspire my own style. Two of my favorite fashion bloggers have recently featured outfits with long sweaters. 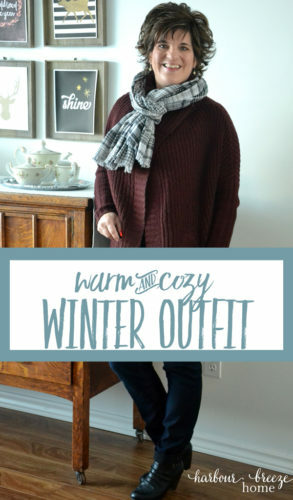 Cyndi from Walking in Grace and Beauty styled one with a warm chunky scarf and hunter boots. Her friend Jo-lynne styled a black ribbed cardigan with some fun red boots and plaid scarf. 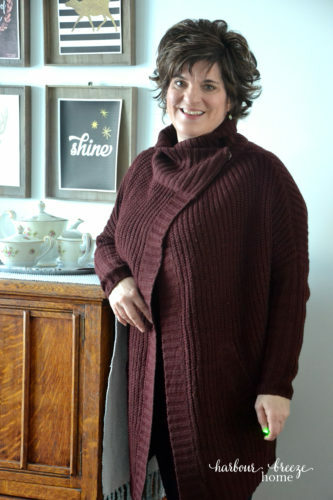 Our weather has been quite chilly (for around these parts) lately and I love wrapping up in this cozy sweater! It wraps around and snaps at the neck, and makes me feel like I’m wrapped in a cozy blanket all day! 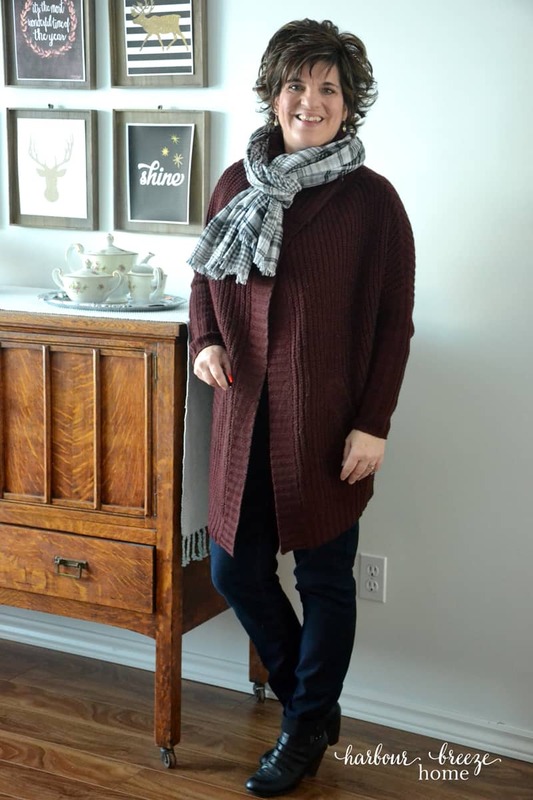 As I perused my favorite blogs this morning, I noticed Cyndi & Jo-Lynne have just started a neat mini series on Casual Winter Outfit Formulas. It’s so good! If you’re a fashion stalker (of actual “wearable” fashion!) like me, you might want to check it out. That sweater is so pretty! I love the neckline on it especially. I’m a big fan of Cyndi as well. I’ve had the opportunity to attend a workshop she led at the Haven Conference — she is such a dynamo and so sweet in person!